The casino is open 24 hours, 7 days a week, although holiday hours vary. Despite its convenient location, The Star Sydney is a gem that's easy to miss. While the property offers a commanding view of Darling Harbour as its backdrop, the Pyrmont Street entrance is rather unassuming. Despite this fact, the casino has welcomed millions of repeat visitors over its two-decade history. The Star isn't just the top gambling destination in New South Wales. It's also the second largest casino in the nation. With two gaming floors featuring 1500 electronic games, over 100 tables, and a dedicated poker room, it's definitely world class. Roulette enthusiasts will appreciate the opportunity to play different versions of the game. Like most contemporary casinos, The Star Sydney is never content to rest on its laurels. The property was renovated in 2012 but a further transformation is underway. More importantly, gaming is just a fraction of what you'll find at The Star Sydney. 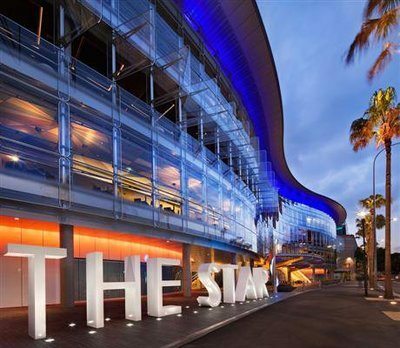 With fantastic dining, exciting live entertainment, electrifying bars, an invigorating spa, and luxurious accommodations on site, The Star Sydney shines. Players of all skill levels will love the range of roulette options available at The Star. Whether you prefer European roulette and its superior odds or American roulette for its Las Vegas style gameplay, you'll have your pick in Sydney. Aside from a choice of table layouts, players can play at conventional roulette tables or take their seat at electronic games. If you are new to the world of roulette, the traditional form of the game operates just like you've probably seen in films. A croupier runs the show, spins the wheel, and pays out all winning wagers. 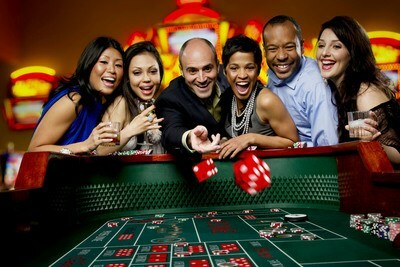 For the sake of variety and in order to meet the public's demand, The Star Sydney offers Vegas Star Roulette as well. Both games feature the same odds, but Vegas Star roulette uses a touch screen and random number generator to control the action. If you've never played roulette before, you might be shocked at the slow pace, especially at a crowded table. Similar to online versions of the game, Vegas Star roulette lets you enjoy every spin at your own pace. Since you are the only one playing at your digital terminal, it's possible to play as slowly or quickly as you wish. Like all world class casinos, The Sydney Star attracts gamblers of all financial means. As a result, you can find roulette games to meet your budget. The exact minimum and limits depend on the time and day, with requirements ticking upwards in the evening and during the weekend. Fortunately, the electronic games give you added flexibility with bet starting at $1 or less, but it is possible to wager $100 or more if you prefer. If you consider yourself to be a big shot, you'll want to head to the Sovereign Room. This exclusive VIP area offers wagers from $25 all the way up to $75,000. For players who are truly made of money, the Inner Sanctum gives you the chance to bet as much as $500,000. Roulette players should note that these areas are reserved for members and international players, but it isn't hard to gain access if you have the means. Visitors to The Sydney Star can count on a fantastic selection of casino games. Choose from craps, sic bo, blackjack, baccarat, mah-jong, bingo, and pokies for starters. Poker fans will find 29 tables hosting tournaments and cash games. It's definitely a great place to enjoy no limit Texas hold'em or Omaha, no matter what stakes suit your style. You can even find landmark events like the Star Poker Sydney Championships, which feature guaranteed prize pools north of a million dollars. JThe Star Sydney offers a great loyalty program called Absolute Rewards. Membership is free and you can use the card at the Treasury Casino & Hotel Brisbane and Jupiters Hotel & Casino Gold Coast as well. You can earn valuable points whether you are playing, dining, drinking, staying at the hotel, or visiting the spa. Use your points for free hotel accommodation, meals, vacations, and fabulous gifts. It's a great way to get more out of every visit whether you gamble or not. The Star Sydney always has great promos in store. With million dollar prizes regularly up for grabs, the cash giveaways are famous throughout Australia. Don’t forget to check out the daily food deals, complimentary entertainment and special events like Sunday Funday, which gives you an opportunity to enjoy lower table limits. 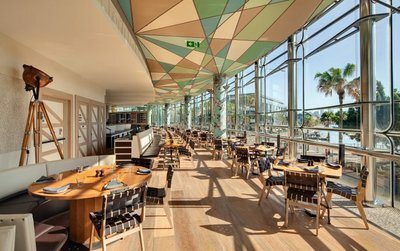 Given the casino's central location and epicurean creations on offer, it's no surprise that The Star Sydney is a popular dining destination for locals and tourists alike. From the gastronomic delights of Momofuku Seiōbo and modern Australian-Japanese tastes of Sokoyo to the flawless steaks at Black By Ezard, you can count on the city's finest food. In addition to the five signature restaurants, you'll find great casual options. Enjoy everything including noodle dishes, sandwiches, pizza, burgers, seafood, Italian, Chinese, classic pub fare, and an impressive buffet. There's also a café court with affordable and fast selections. Whether you are looking to catch the match, relax with a cocktail, or feel like partying, The Star Sydney never lets you down. With eight bars and nightclubs to choose from, you'll want to start or end your night right here. Star Sydney guests can spend the night in luxury at three modern hotels. The Darling, Astral Tower, and Astral Residences all let you stay in style and splendour. When you're ready to be pampered, head directly to the Darling Spa, which features a Moroccan Hammam chamber, fitness centre, Kinesis wall, Jacuzzi, steam room, and 11 treatment rooms. Even though The Star Sydney puts the world's greatest city at doorstep, you won't have to venture more than a few metres for fabulous shows. Whether you are looking for comedy, theatre, or concerts, there's always something great from the world of entertainment on the calendar. Your options not only span the genres but the globe too. The Star Sydney Casino accepts a whole host of Australian-friendly banking options. These include Visa, Mastercard, Maestro, PayPal, POLi, Neteller, Ukash, ClickandBuy, and many more.